Arvind Kejriwal termed the disqualification of rebel JDU leader Sharad Yadav as illegal and unconstitutional. 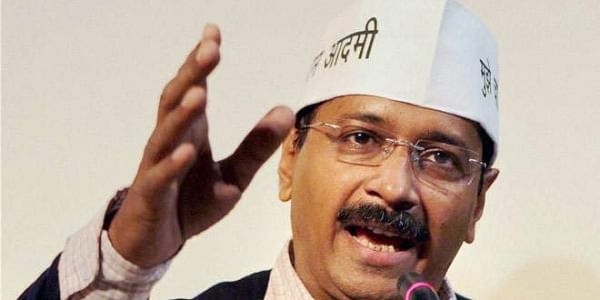 NEW DELHI: Delhi Chief Minister Arvind Kejriwal on Wednesday termed the disqualification of rebel Janata Dal-United leader Sharad Yadav as illegal and unconstitutional, and demanded it be revoked. "Disqualification of Sharad Yadavji is completely illegal and unconstitutional. It is political vendetta. We strongly condemn it and demand that disqualification be revoked," Kejriwal tweeted. The Chief Minister's remarks come two days after Vice President M Venkaiah Naidu, who is also the Rajya Sabha Chairman, disqualified Sharad Yadav and another rebel JD-U leader Ali Anwar as members of the upper house of Parliament. Naidu, in a detailed order, ruled that Yadav had "voluntarily given up membership" of the party by attending and addressing a Rashtriya Janata Dal rally and hence indulged in anti-party activities. "The Mahagathbandhan (Grand Alliance) was a political alliance of some political parties formed for the purpose of contesting the 2015 Legislative Assembly elections in Bihar and JD-U was one of its constituents. As such, leaving or joining of any political alliance by political parties does not fall within the purview of anti-defection law," Naidu had said in his order.